August 12th is one of the most revered days of the year for Thai people? wanna hear this song check out womanleanthai site. which I would like to recommend to those who are learning Thai. 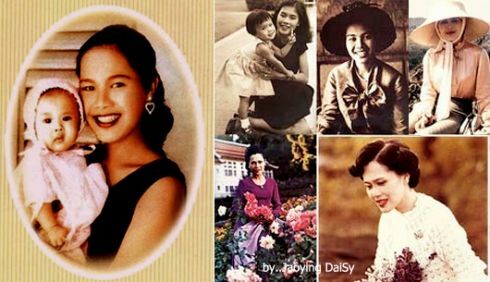 This is to show how much Thai people place importance on their Mother’s Day. 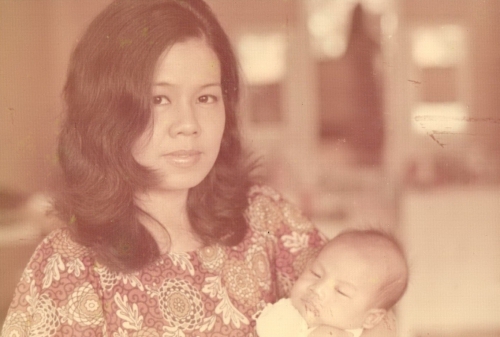 Since 1976 , the National Council on Social Welfare of Thailand (NCSWT) has been organizing an activity called National Mother’s Day in which the awards will be presented to outstanding mothers – also regarded as model mothers. In National Mother’s Day 2012, the awards will go to 214 outstanding mothers. Furthermore, the awards will also be presented to those who have expressed their gratitude to their mothers and reciprocated with high royalty. How to select the nominees ? See!!! it’s not that hard…..
We all have mother..no matter what the circumstances are…. No matter how is the relationship between our mother is like.. When I think about my mom the first thing comes to mind is her beautiful face and her beautiful voice especially when she sing to me. She used to be a professional singer. As you can see in the VDO, I probably got some of the talent from her more or less..
what is the most memorable moment of your mom? This entry was posted in Thai Language and tagged learn thai song, mother day song, thai song. Bookmark the permalink. A buddy of mine keeps telling me about Klover Releaf Kratom. http://www.txbotanical.com. Can anybody vouch for them? She says they offer 30 off for using the coupon firekrat18.